Pretend, for a moment, that we’re at ceremony for the content marketing graduating class of 2014, and the valedictorian is giving a speech on how headlines came to rule the content marketing world. What would she say about the past year, when it came to crafting headlines? Why did headlines get the spotlight? 1. They carried the load on social media. Of all the things people could do online, social media use became the number one activity. We spent more time on social media than we did with our pets, giving up three hours every day, on average, to our social media news feeds. This meant that our content marketing headlines had to pull a heavy load. In a quickly changing news feed with limitations on characters and content, our headlines were all fans had to go on. Should they click? Should they share? Should they ignore? We began looking at words that kept popping up in headlines that went viral on social media. We learned that people shared emotionally, and researched how we could measure the emotional value of the headlines we were creating. 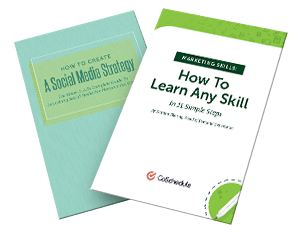 There was no shortage of people talking about how to write the best headlines for social media. A “mere” 26,400,000 results for a search on headlines for social media. What we learned: When it came to social media, our headlines had to be a powerful package that told the story, got people to read, and got them to share. All within limited space and in a distracting news feed. 2. They doubled as email subject lines. We’re all building our email lists, and that means sharing our content and testing our email subject lines. What do we use? Email has always been the go-to tool for marketers, but with social media and other apps, some marketers questioned its effectiveness. 2014 saw a solid swell of content marketers talking about, promoting, and pushing the idea that above all else, we needed to build our email lists. We needed to use email autoresponders to grow our list, and we needed to use any app and tool available to generate more leads. By applying some of the skills we picked up while honing our headline writing abilities, we created email subject lines that made sure our emails were opened, and we improved on our email click-through rates. When we bank on our email marketing, we want to make sure our emails are opened. What we learned: Email subject lines are as important as headlines, and maybe even more so. Great headline-writing skills made our email marketing even more effective. 3. We fell in love with testing. A/B testing headlines, pitting one option against another. Whether through a blogging plugin or on social media, we tracked which headlines attracted people and which did not. We gathered traffic and social data on headlines over time. Sifting through the data, we theorized why some headlines worked and some didn’t, and used the data to back up or dispel our theories. What we learned: Testing took time and energy, but in the long run saved on both. Instead of guessing, testing showed what works with our specific audience, making it possible to replicate winning headlines. 4. We were all Upworthy-ized and Buzz Fed. The realization of millions and millions of hits and extreme engagement on Facebook made content marketers zero in on Upworthy and Buzzfeed (and other similar sites). Their headlines were pulling in eyeballs like no other. People began telling others how to write Upworthy-ized headlines. Why did they work so well? The content team wrote more than one headline, testing and tweaking to get the best version. 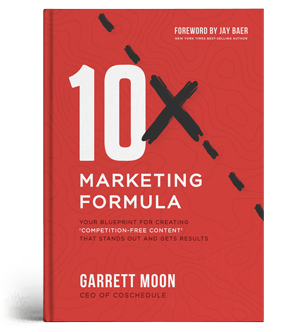 The formula creates a curiosity gap, that need to know that drives people to click. People hadn’t seen such confident, long and curiosity-provoking headlines before. It wouldn’t last, mind you. When The Onion launches a satire of such headline techniques and calls it ClickHole, you know there is some headline fatigue out there. When a developer comes up with “Downworthy“, a browser plugin to translate those viral headlines into what they really mean, you know there is active backlash. But despite the change in direction from these early click-bait headlines, there was a lot to be learned. Turns out that people are curious creatures, not as jaded as we think, and if we can pique their curiosity, they will click. What we learned: Our readers were curious, they’ll click on provoking headlines, but we couldn’t rely on gimmicks forever if we wanted to keep our audience in the long term. The curiosity gap exists, and we could tap into it in several ways. 5. The competition kept growing, as did the size of graphics. The number of blogs has steadily grown over the years, and 2014 was no exception. Blogs, blogs, and more blogs. But content marketing become much more than just blogs. There were social media networks to contend with, plus every distraction under the sun, like 144 billion email messages each day, and 2.4 billion internet users (estimated 3 billion by the end of 2014) reading 634 million websites worldwide. 1.23 billion of those internet users are on Facebook. Those are big numbers, almost incomprehensible. That’s what our content was competing against, and that’s why we had to find a way to get noticed. We turned to the niche, bringing super-focus to our blog and reduce the competition. But we also turned to headlines to help our niche audience find us. In fact, headlines and graphics became best friends, with social networks like revamping their network to feature link preview images that were large and noticeable. With the right headline and graphic combination, our content had a chance to be noticed. By choosing images no one else was using, and customizing them to perfectly fit each social network, we gave our headlines a leg up, tapping into the human psyche to get people to share our content with others and click-through to read it themselves. What we learned: The competition for audience attention was fierce. That made us be even more focused on our core content and how to attract its audience with the right combination of headline and graphics. 6. Our feeds made us take notice. Feed readers and curation apps were chock full of content that talked about headlines. Every day we were bombarded with content about headlines. 6 Ideas To Writing Intriguing Headlines or 11 Ways To Write Damn Good Headlines — similar posts flooded our feeds, telling us that headlines were an Important Topic for content marketers. We learned about the right words to use, or which numbers we ought to include in our headlines. We were told about headline formulas that worked, and we were told why we should never use a formula. By seeing the bigger picture of what others were writing, and then researching how their headlines were performing using the “skyscraper technique“, we were able to maximize our own content. Not just headlines, mind you, but topics, too. What we learned: Our focus on tight and powerful headlines began to drive our topics, and that wasn’t such a bad thing. 7. David Ogilvy became a content marketing czar. Again. Advertising genius David Ogilvy was known for copy and headlines that sold products. He wasn’t writing in theory but from real-life practice; his work was successful in selling everything from cars to motor oil to men’s shirts. The headline must attract the desired customer you are trying to reach. Use the nouns that refer to these people. Appeal to the reader’s self interests. Promise true benefits of what is offered in the headline. Include the selling premise. Longer headlines with more information do better than witty short versions. Avoid headlines with puns or excessive wittiness. Avoid negativity. People get confused about what you are really saying. Headlines should have meaning whether the content is read or not. They should be able to stand alone. What we learned: Headlines should sell. You’re not here to prove how clever and original you are, but to clearly and directly sell a product or idea to your reader. 8. Vintage journalism became cool. Traditional journalism–and its tenets–was never extinct, but it often felt replaced by modern content marketing. However, that dinosaur showed us the importance of not only how we structure our blog posts to accommodate rushed readers who don’t always read much beyond the first paragraph, but also the value of a headline that delivered what it promised and could stand on its own. Headlines, and subheadings, grabbed the attention of those who had a habit of reading the first few sentences and skimming the rest of the content. Our subheadings weren’t clever or coy, but factual. There was enough there to provide readers with the gist of our content, even if they never went beyond a surface skim. It might not have been the curiosity gap of the Upworthy-style headline, but it was a headline that provided enough information that it would get shared on social media whether the person had actually read the article or not. What we learned: Even if our content marketing isn’t breaking news, it is still information. Relying less on gimmicks and more on attracting readers who want to skim content, we built solid outlines into our headline and subheadings. We never buried the lede, even in headlines. 9. We fixated on our audience. Discovering, understanding, and creating content for a specific audience became the trend. Heck, we even devoted the entire month of August on our editorial calendar to exploring the idea of audience. Perhaps the bounce back from the Upworthy-obsessed headlines was a realization that not all audiences respond to click-bait techniques, and that we needed to be useful and helpful to our readers when creating headlines. A fixation on true audience is always appropriate, and our audience helped us find our headlines by monitoring what they responded to and what they ignored. We started to tap into how our audience felt, finding headlines that caught their attention based on their emotions. We learned that if our headline could make them feel a certain way, they were more likely to share it on social media. What we learned: Some audiences respond to click-bait, but others don’t have the time to waste. Instead, they want a headline that tells them what the content is truly about. Know your audience and write the headlines that work for them. 10. SEO, content, and headlines merged gracefully. Headlines became a part of the whole package of SEO and content. It would’ve been easy to forget about search engines and focus solely on social media, but that’s unwise. Our keyword research wasn’t just to load up our content, but played a significant role in our headlines and research. With the help of plugins and other tools, our headlines were measured as an equal when it came to evaluating how likely a search engine would bring visitors to our content. The SEO of headlines themselves became a “thing” and made us more aware of how headlines and page titles made a difference in the SERPs and whether or not someone would click. What we learned: Headlines weren’t just an add-on to a keyword-loaded SEO maximized post. They were an integral part of the post, doing the work of telling search engines what the content was about. CopyBlogger’s much-linked post “How To Write Magnetic Headlines” was several years ahead of the game (and has since become a portal for great ebooks), but content marketers caught up in a rush. Understanding that 80% of people will read a headline (compared to only 20% reading the rest of your content) helped us give headlines their due in the fast changing game of online content marketing. Feel like you got a bit behind? How do you keep up with this headline push?